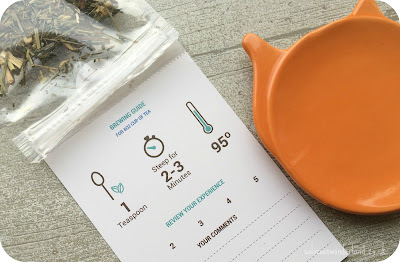 Tea Tourist is a monthly subscription that sends out six artisan tea tasters, along with tasting notes, ratings cards, brewing instructions and how best to serve each individual tea, e.g with or without milk, or which tea goes best with a slice of cake! 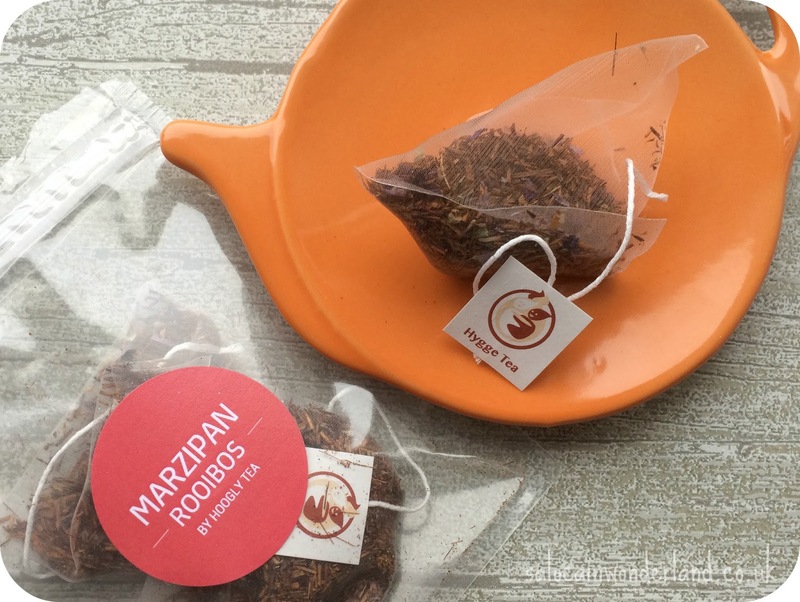 Each tea is in it’s own individual pouch, and you get enough loose tea for a minimum of four cups per tea. I’ve actually, easily got more than 4 cups out of each one (and have brewed according to instructions!). A fair few can actually be re-used 2-3 times before they loose potency and flavour. The December box was their Christmas themed box and even though I’ve been having at least once tea out of it a day, I’m still working my way through the selection - at £14.95 a month it’s a bit steep for tea, but only works out around 60p per tea, less if you get more than the 4 teas per sample! When you throw in the fact that most of these teas you can’t exactly pick up in the Tesco, you really do feel like you’re getting a treat every time you put the kettle on! But enough of the facts, it’s on to the tea! This is the perfect dessert tea - the chocolate and vanilla come through so strong, it’s delicious! Super smooth with a hint of whisky and cinnamon. I’ve loved having this in place of a snack later on the evening - it’s a treat in itself! 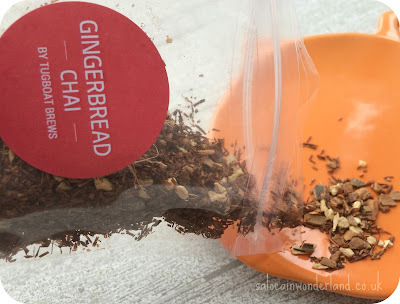 Not only does this make a delightful tea, but the leaves can used to make a fantastic gingerbread latte too! Another one where the vanilla comes through quite strong, I mixed it up with a little almond milk and it was fantastic! Caffeine free and high in antioxidants too! This was probably my second favourite in the box. I love me some green tea and this one was so earthy and grassy tasting - and yes, I mean that in a good way! 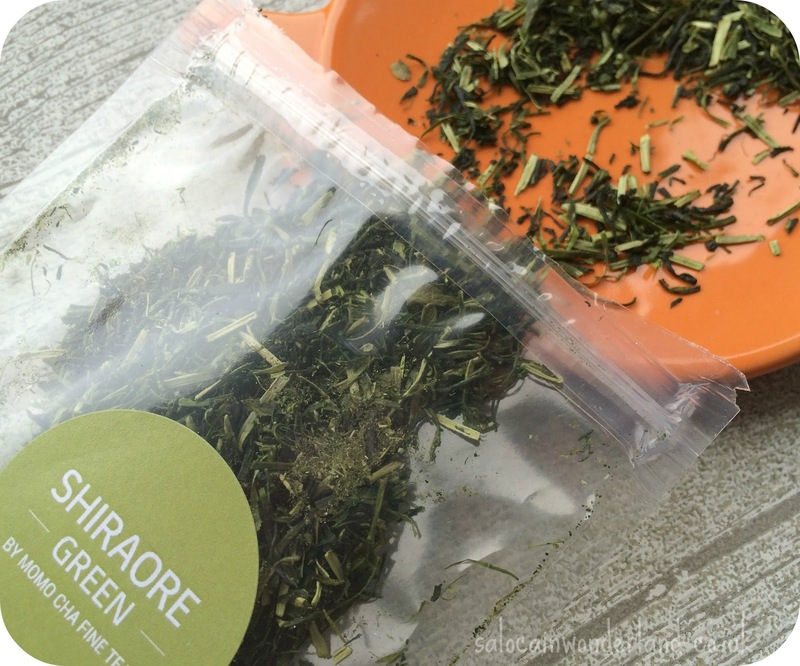 It’s probably one of the nicest green teas I’ve ever had! This was probably my least favourite as the first time around I over steeped it and it ended up tasting like Strepsils…which nobody wants to drink! But then the next time I didn’t steep it for long enough and it tasted like nothing! I just can’t seem to get this one right! 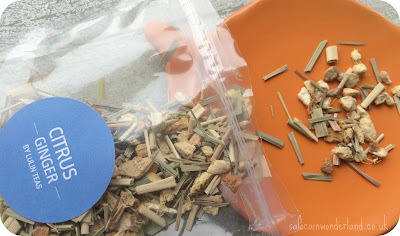 This one just smells too good to even brew, I seriously want some sort of potpourri made out of this loose leaf mix because, oh, it just smells that good! 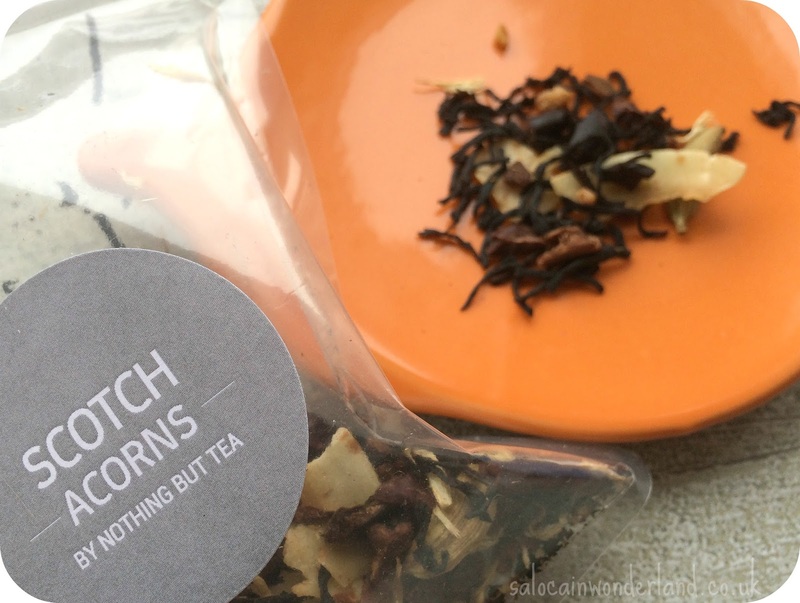 It brews up a mighty fine tea too, with an aniseed undertone that really packs a punch! It’s got a really warming, spicy after kick that is perfect after coming in from the cold! This. This was my favourite in the whole box. It tastes like drinking cake. Let’s go over that again, shall we? It tastes…like drinking CAKE. Just want to make sure you understand that! Cake! It’s so luxe and sweet, it goes down an absolute treat! As subscription boxes go, I was seriously impressed with this one! A fantastic selection of teas, all of which will be used up eventually! 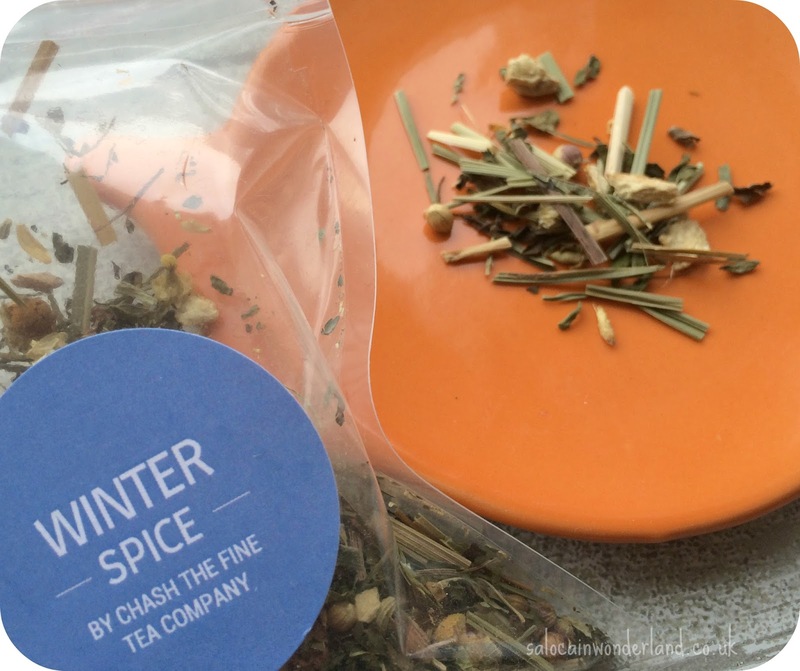 I've discovered some amazing new brands and some teas I would never have ordinarily picked up! What I love most about it is that you get enough tea in each sample to really get a feel for it, a chance to really enjoy it and enough of a sample to decide whether or not to commit to a full size purchase! 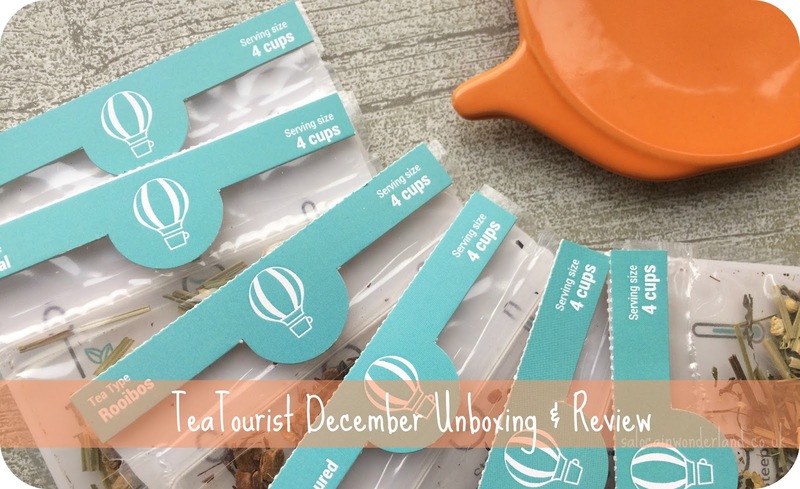 If this post has got your tea-buds tingling then why not give Tea Tourist a try with 30% off your first box! Simply pop in the code SALOCA30 - never say I don't give you anything! My January box has already arrived and I can't wait to get stuck it! Someone get that kettle on! Do you subscribe to any tea subscription services?